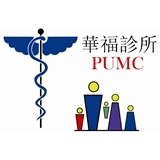 Dr. Weiguo Li, Penn Union Medical Center (King of Prussia) - Book Appointment Online! Together, we build your health. Family Doctor and Civil Surgeon. We are family physicians who take care of you when you need medical attention. We are USCIS designated Civil Surgeon who perform the green card physical exam for you. He's really nice and I enjoyed my visit. Explains things in detail as well.